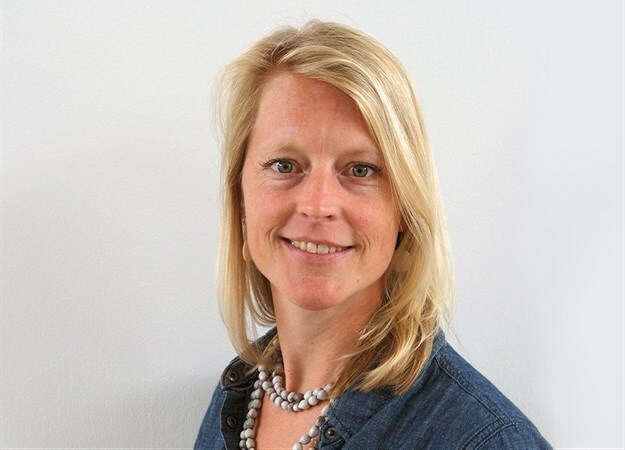 Founded in 2010 by Marloes Reinink, Solid Green Consulting is all about advancing sustainability in the African built environment, offering property developers and building professionals a range of consulting services. This year, the company is celebrating more than 50 certifications achieved, having consulted on 57 successful green building certifications, covering 750,000m2 of built area. Since 2011, directors, staff members and projects have received fourteen Green Star SA Leadership Awards in total, with the Established Green Star awarded to Marloes Reinink in 2013, and partner Chilufya Lombe in 2014. Last year, the company was runner-up for the ‘10 Year Award for the Consulting Company with the Highest Number of Certifications’ in South Africa. We caught up with founding director Reinink this Women's Month to find out more about the history behind her successful enterprise, what lies ahead for Solid Green, and how the South African green building industry is performing at present. Could you tell us more about you - your background leading up to you founding Solid Green - how did you get involved working on sustainability in the built environment and what's its appeal for you? Throughout my studies I had been interested in sustainability and doing good for the planet. I worked at the CSIR on the Green Building for Africa Programme and on the Sustainable Building Assessment Tool as a student. Through these programmes I gained experience in the green building field, although not much attention was paid to green buildings at that time. In 2007, there was an opportunity to join Eric Noir at Green by Design and start consulting on green building in the commercial property industry. Around that time, we were also appointed to do sustainability assessments on some of the new stadiums being built for the World Cup. There were only a few experts in this field at the time and I was very lucky to be able to work with Noir and learn so much. In 2008, Green by Design was absorbed by WSP and we became WSP Green by Design. This was also the time that the GBCSA was formed in South Africa. 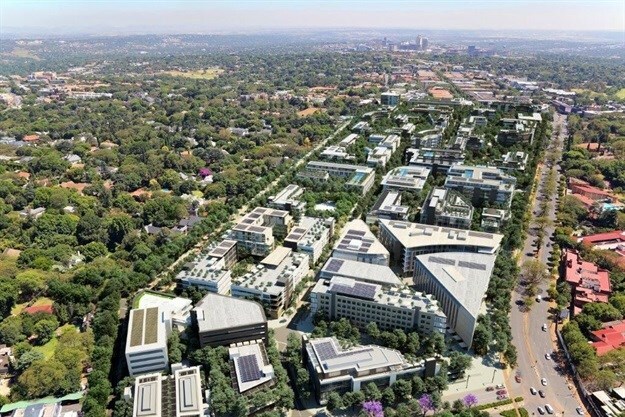 During that time, I worked with the team on the first green building that was certified with the Green Star SA rating system, which was the headquarters of Nedbank (135 Rivonia) project. Even though I really enjoyed this time with the Green by Design team, the corporate structures of an engineering firm began to feel a little limiting. Although I had never had an aspiration to start my own company, it was the right time and right space for me to start Solid Green. Tell us a bit about your journey so far with Solid Green. Within a month of founding Solid Green, I had sufficient work to keep me busy. Very soon thereafter, Warren Grey and Chilufya Lombe joined me as partners. We had a great partnership, with skill sets that complemented each other. My architectural background worked well with their more technical mechanical skills, and we formed a great team. It has been quite a rollercoaster and, if I look back now at what we have accomplished, it really is something to be proud of. Today, we have 10 full-time staff members working at Solid Green and have tried to implement as many sustainability initiatives in the daily running of our business and lives as possible. I love working in an industry that makes a difference in terms of making our world a better place. I chose architecture from an early age and I am, for some reason, attracted to buildings and urban spaces. Making them better places for people to live, and more sustainable so that we can maintain the planet, is my passion. I am really grateful that I found a job that I enjoy doing, and it is very fulfilling to be part of these projects. Solid Green is celebrating more than 50 certifications this year. Congratulations! You've obviously learnt a lot along the way. What's your strategy as you work towards the next 50? Within Solid Green we have streamlined our processes and have become quite efficient at doing Green Star certifications. Of the 57 projects we have done, probably 80% are new buildings, and 20% interiors and existing buildings. I expect in the coming years that the market for existing buildings will grow, as 99% of our building stock is already built, and upgrading existing buildings is still the most sustainable approach. Solid Green is also extending its reach into Africa, and we are currently doing projects in Botswana, Namibia, Mauritius, Ghana and Kenya. 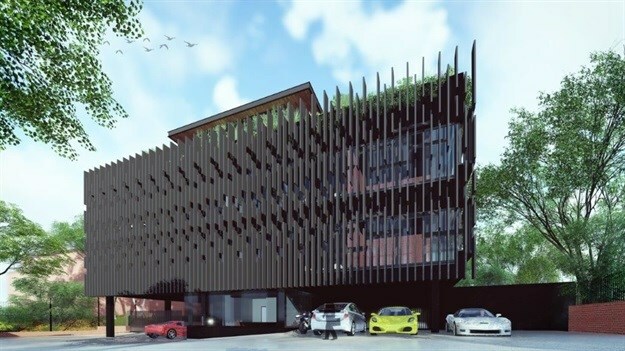 We really hope that this market is going to grow and show continued interest in sustainable buildings. Often the buildings in these countries have great advantages as they are forced to make use of water recycling and renewable energies in response to limited public sector service delivery, which helps a lot in terms of achieving Green Star certification. We are also improving our offering to the residential market, where the new regulations require energy efficiency calculations to be done for building plans to be approved. In addition, we are looking at offering a financially attractive service offering to expand our modelling services to projects to ensure thermal comfort and energy efficiency in residential buildings. This is so that houses are designed to be comfortable in summer as well as winter. Last year, I co-launched an initiative with two great women, Karen Eicker and Michelle Ludwig, which is completely focused on the education space in the sustainable built environment. We found that there is very little education happening at universities around green buildings and also limited offerings around Continuing Professional Development in this field. We are still finding our feet with www.GreenED.co.za (short for GreenEducation), but we have a great vision and are determined to make this a success. What's your experience been like as SA's first ambassador for the Living Building Challenge? The Living Building Challenge is such an inspirational rating system, possibly the most rigorous in the world. It really sets a high benchmark, and I hope that there will be more interest in this approach over the coming years. Over the last few years I have done many presentations about the system, and have received a very positive response from architectural professionals who have been inspired by the possibility of living buildings. I think every architect would ultimately like to do a Living Building Challenge – it would be such a great design challenge! As the first ambassador, I was fortunate to have the Living Future Institute put me in touch with our first client wanting to do an LBC project in Cape Town, South Africa. The project is still in its design stages and will only start construction next year, and the LBC certification only happens once the building has been in operation for 12 months. A long journey, but this really keeps me motivated and energised. 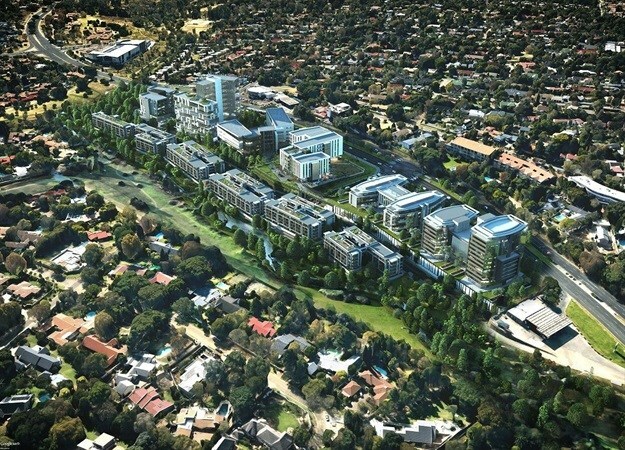 How would you describe the green building sector in South Africa at present - is it gaining substantial momentum, or do we still have a long way to go? According to some reports, we have the fastest growing green building industry globally, which I don’t think is totally correct. There is definitely a dip in the property industry and this has had its effect on the green building industry as well. 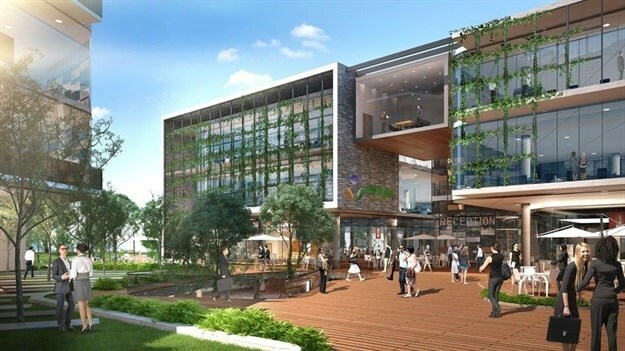 We see that the number of new buildings going for Green Star certifications is stabilising and that the existing building work is starting to gain momentum. But I do believe that when the property industry recovers, new building certifications will increase simultaneously. The construction industry is also a fairly conservative industry that is quite resistant to change. Having said that, there has been substantial change in the industry over the last 10 years and I believe more disruptions are about to happen. The net zero initiative from the GBCSA is going to make a big difference. Furthermore, government is making Energy Performance Certificates (EPC’s) for buildings mandatory, and this will raise awareness amongst facilities managers and building owners. I also hope that soon buildings will be able to start feeding renewable energy back into the grid, which will result in making renewable alternatives viable for anyone. And the C40 Cities initiative (Cape Town, Johannesburg, Pretoria, eThekwini, Port Elizabeth) is pushing for net zero in 2050, which is an important move towards positive change. Based on your experience, what advice would you give to women pursuing a career in the built environment today? In a previously male-dominated industry, women are becoming more powerful. You can achieve a lot if you have the courage of your convictions, respect yourself, and expect proper support from those around you. Is there a female figure that has had a positive influence on your life? Besides my mum, who has been my greatest supporter, I have been very fortunate to have a group of close female friends who are all very highly motivated and ambitious women who want to make a difference in South Africa. They have had and still have a hugely positive influence on my life. What is your message for Women's Month? Focus on your vision and take one small step every day towards making it happen. Trust your instincts – nobody knows your path better than you.